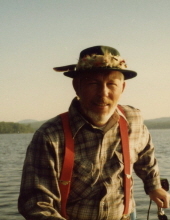 Celebrating the life of George F. Snell, Jr.
Obituary for George F. Snell, Jr.
FOXBORO, MA – After a 15-year battle with prostate cancer, George F. Snell Jr., a born storyteller and a serial entrepreneur, died at home on January 11, 2019 in the care of his wife and two sons. He was 82 years old. George Jr. was born in Boston on 11 February 1936 in the midst of the Great Depression. He was the fourth child and only son of Police Captain George F. and Margaret Mary (Denham) Snell of West Roxbury. His father shielded George Jr. and his three sisters from the devastating effects of the Depression with his steady and dedicated work as police officer for the city of Boston. George Jr. was educated in the Boston Public Schools through elementary and middle schools. He graduated from Boston College High School in 1954 and later from Boston College with a degree in marketing in 1958. He was in the ROTC and joined the U.S. Army as a 2nd Lieutenant right after college. George Jr. was stationed in Bad Kreuznach, West Germany with the 8th Infantry Division, Quartermaster Company and later promoted to 1st Lieutenant with the 7th Infantry Division, Quartermaster Company. He was honorably discharged from the U.S. Army Reserves in 1966 with the rank of Captain. His two years in West Germany changed the course of George Jr.’s life. In May of 1960, while driving through Kaiserslautern, West Germany in his sporty black Volvo, George Jr. spotted two Danish women hitchhiking at the side of the road. No fool, he immediately pulled over and met Kirsten Leth Madsen, the woman who would become his wife for 55 years. George Jr. opened several successful businesses in his lifetime. He was a partner and co-owner of Repro-Graphics, an offset printing company in Boston, sole owner of Copigraph, Inc., an offset printing and photo developing shop, in Waltham, MA and the sole owner of G.F. Snell Outfitters, a fishing and hunting shop, in Bridgton, Maine. George Jr. was a showman at heart and a storyteller of often dubious fictions. His six grandchildren were regaled with tales of the gnomes and trolls who resided in the Maine woods and of Melvin, a whale-sized small-mouth bass who cruised the waters of Highland Lake. George Jr. loved to laugh and tell his tall tales with a mischievous twinkle in his eye. His energy, passion and enthusiasm for others was contagious. He will be missed. George Jr. leaves behind his loving wife, Kirsten Madsen Snell, 78; his oldest son George F. Snell III, 54, and his wife Ana Maria Rivera, 51, and their three daughters, Halle Piper, 15, Charley Summer, 13, and Louisa Cricket, 10, of Arlington, MA; his youngest son Erik M. Snell, 50, his wife Susie Lee-Snell, 48, and their three children, Kirea Sae Na, 16, Hunter Hyun Jung, 14, and Skyler Sae Beit, 8, of Lexington, MA. George Jr. will be cremated and his remains interred at the National Cemetery in Bourne, MA. In lieu of flowers, donations in George’s memory may be made to the Lake Environmental Association, 230 Main Street, Bridgton, ME 04009 or find them at www.mainelakes.org . "Email Address" would like to share the life celebration of George F. Snell, Jr.. Click on the "link" to go to share a favorite memory or leave a condolence message for the family.